Comedian ANT comedy and standup blog, video, pictures and more! 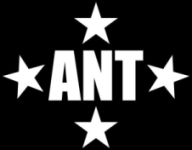 Comedian ANT’s Official Website. If you are a young new comic you are probably overwhelmed with starting your career, writing and getting stage time. I invite you to go to my contact page and ask questions and I’d be happy to help and answer them in any way I can. Again, welcome to Comedian ANT’s page on the web. This site is a work in progress. Anything you want to see, changes, improvements…please don’t hesitate to let me know. I invite you to look around. Tell me what you think good Comedy and Standup is to you. Tell me what you’d like to see changed. Tell me what you think. This site is going to be a place where we can all hang out and have some fun!